Malaysian owner Tony Fernandes used a podcast with supporters to complain about the borough council and threaten he might relocate the team, unless fans pressure local authorities. It's no secret that relationship between the Hammersmith and Fulham council and Queens Park Rangers hasn't been great in recent months. Back in late November the council basically bashed QPR for planning a development on public land without having purchased it. At the same time the council stressed that it would not be pressured into giving the land for free. It's not just any land but the borough's only athletics stadium for community use, the Linford Christie Stadium. 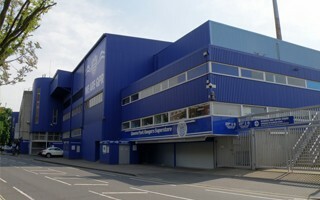 QPR would like to build a 30,000-seat stadium here and finally move away from Loftus Road. The current ground, though charming, is simply too small and impedes further growth of the club. “The problem is if we have a council that doesn’t support us and doesn’t appreciate what QPR does for the community, doesn’t see how important the club are to the voters and to the community, then what do you do?” asked majority shareholder Tony Fernandes during podcast with supporters. The Hammersmith and Fulham Council has responded to Fernandes' claims, reiterating their stance from November. “We’ve had many meetings with Tony Fernandes and his team. He’s lobbied us to turn the current QPR stadium into housing and even lobbied us to add in the nearby council homes on Batman Close so he can become one of the biggest developers in White City. We’ve been extremely clear that we will never hand over people’s homes on Batman Close to any developer and cannot give any land away for free.” a statement reads, released just hours after QPR comments.